Les your local Agent/Auctioneer has been selling real estate for thirty plus years. He realises that the experience and negotiating skills gained in that time assists both his buyers and sellers to meet their expectations in the sale process. He is committed to keeping up with the ever changing market conditions and trends. Since buying an apartment in Mactaggarts Woolstore twenty years ago he has maintained a working interest in the Teneriffe, Newstead and New Farm areas including the on-site selling of the “Ellington” apartments. He has sold properties in most new development in Teneriffe, Newstead in past thirteen years including the “Mirvac Unison” development. Our data base and handy business location together with a high percentage of repeat and referral business are keys to our success. A long term member of the REIQ and well respected in the industry make a good combination to help us serve our client’s needs. 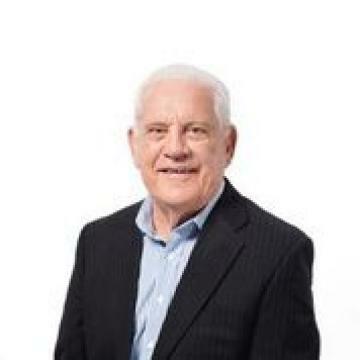 Les is a keen golfer and a member of Nudgee Golf Club and is a JP. Contemporary one bedroom apartment, Excellent natural lighting, fully equipped stainless steel kitchen/dining with timber floors. Secluded balcony off the lounge, air conditioned for your comfort – Private courtyard off the large master bedroom. Enjoy living in this vibrant suburb – Teneriffe! Inspect via Vernon Terrace. Newstead Terraces’ offers a stylish and convenient lifestyle with first class amenities 20m lap pool, in ground spa, gym, sauna and entertainer’s BBQ area set around stunning garden deck with 3 separate shaded lounge areas. Designed and built by the creators of Palazzo Versace and Q1. Perfectly located to ‘GASWORKS’ full line Woolworths, Fresh Food Market, coffee shops, restaurants, chemist, doctors and lots more. Beautifully maintained building - quiet and peaceful inner city lifestyle! ‘Newstead Terraces’ convenient easy living! This fully furnished apartment has it all. Boasting 2 bedrooms, 2 bathrooms (master with spa bath), study, open plan kitchen/living area flowing out to a 77m2 courtyard with perfect North East aspect. Stunning garden deck with 3 separate shaded lounge areas, complete with pools, spa, gym, sauna and BBQ. 2 separate car spaces. Just a 10 minute drive to CBD and a 15 minute drive to Brisbane Airport. Road and River transport close by. Renovated to perfection, no expense spared. Kitchen with matt finish porcelain bench top complimented with stainless steel European appliances including gas cook top, oven & dishwasher. The bathroom also with matt porcelain benchtops, double vanities and floor to ceiling tiles. Living / Dining tiled, air conditioned for your comfort & pet friendly on application. Perfectly located right in the heart of Teneriffe, yet so peaceful with spectacular north east river views. ‘One of the sought after larger apartments with a lovely leafy outlook. Loads of character with high ceilings, timber beams, sash windows and exposed red brick feature wall. Large open plan living & dining with great river breezes. ‘Mactaggarts Place’ is a riverfront heritage listed building (circa 1926), featuring riverside pool & BBQ areas set in beautiful sub-tropical gardens. Just a 5 minute drive to the CBD and only 15 minute drive to Brisbane Airport. If you are seeking privacy and a special river location this” Iconic Freshwater” apartment awaits your inspection. It offers a quality of Inner City River living that is perhaps only matched by the uninterrupted sweep of northerly river views. The imposing porte-cochere to the towering glassed grand foyer you have a distinct feeling of style and peace. The kitchen is centrally located, to embrace the formal living and dining areas as well as the expansive outdoor dining area of the balcony. RIGHT IN THE HEART OF TENERIFFE!! Rare Townhouse Style apartment over two levels with 2 bedrooms & 2 bathrooms. Main bedroom with balcony access & ensuite. Living & Dining rooms open to secure private 15m2 courtyard at entrance from Florence Street. The kitchen is fitted with gas cook top, stainless steel appliances and stone bench tops. Pet friendly building with lift access from the basement! Contemporary in design, functional in layout. Spacious two bedrooms, two bathroom, two car parks. Open plan living opening onto 16m2 balcony overlooking pool and beautiful landscaped gardens. Well-designed chef friendly kitchen with European stainless steel appliances, filtered water, gas cook top, - Spacious 97m2, top floor with views. - Air conditioning. - Huge tiled balcony, ideal for entertaining. - Security car park plus building security. - Internal lift access. - Rare 2 car parks. Great opportunity to purchase this spacious 111m2 apartment with two bedrooms, two bathrooms + study nook and parking for 2 cars in sought after Teneriffe. Very private end position with only 1 neighbour sharing this section of the building. Open plan with lounge dining opening up to large 18m2 balcony. Small boutique building of 24 apartment with low body corp fees. Air conditioned throughout and pet friendly. New Farm Park, Merthyr Village, Emporium and James Street close by.